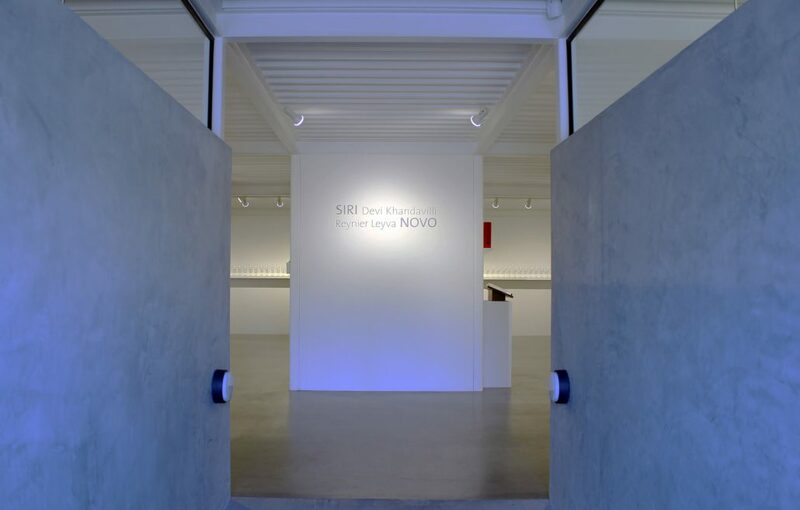 Lisa Sette Gallery is pleased to present the works of two exciting international artists: the bronze sculptures of Indian artist Siri Devi Khandavilli and the historically charged conceptual works of Cuban artist Reynier Leyva Novo. Both artists will be present for the opening of the exhibition. 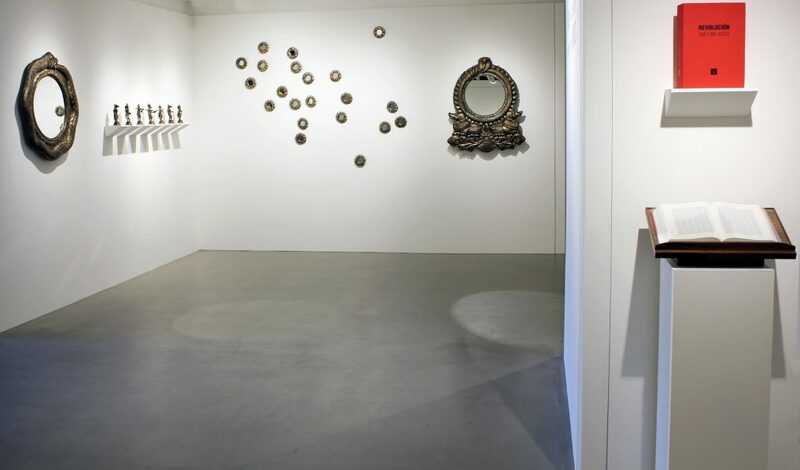 Siri Devi Khandavilli models her sculptural pieces using traditional formulae of the vast Hindu pantheon, a vocabulary that has endured through millennia. 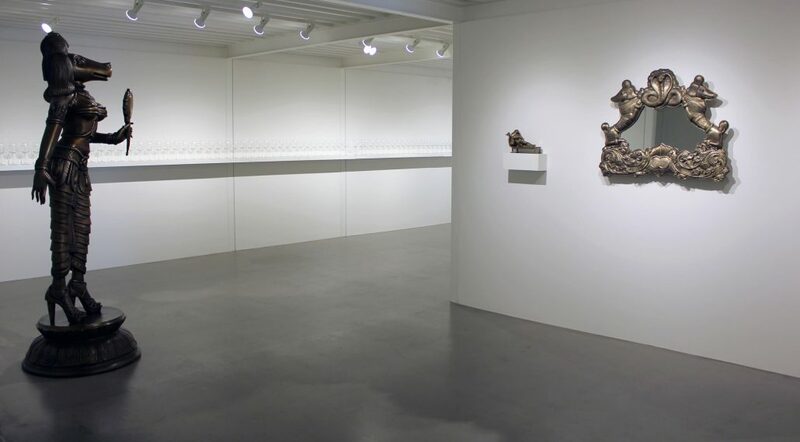 Her new bronze figures explore political ideas and her personal reaction to recent religious violence. Khandavilli’s own creation – the female poodle “deity” of wealth, glamor and luxury, continues to expand in her many forms including large mirrors, and a 7′ tall bronze figure named Darpana Sundari (Beauty Holding a Mirror). The work of Reynier Leyva Novo reflects the futility of heroism and loss of meaning in any country in which people are manipulated by patriotic catch phrases that are a substitute for an evolving truth. 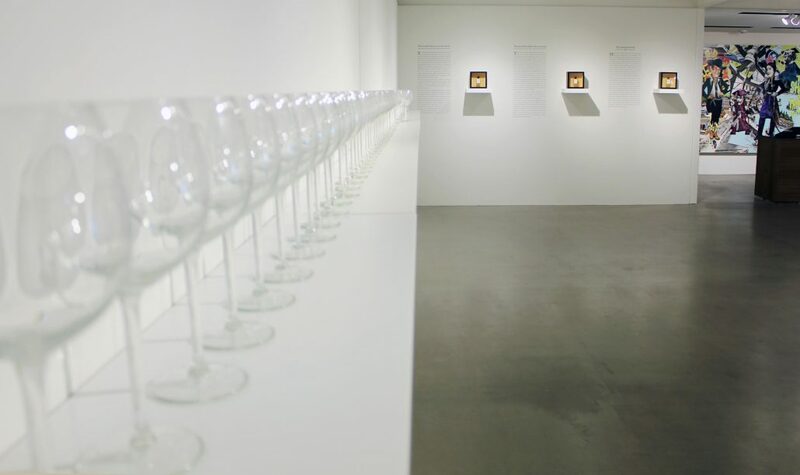 This solo exhibition will include both known and new pieces, not shown before, and will revolve around ideas such as the historic and recently renewed diplomatic relations between Cuba and the USA. 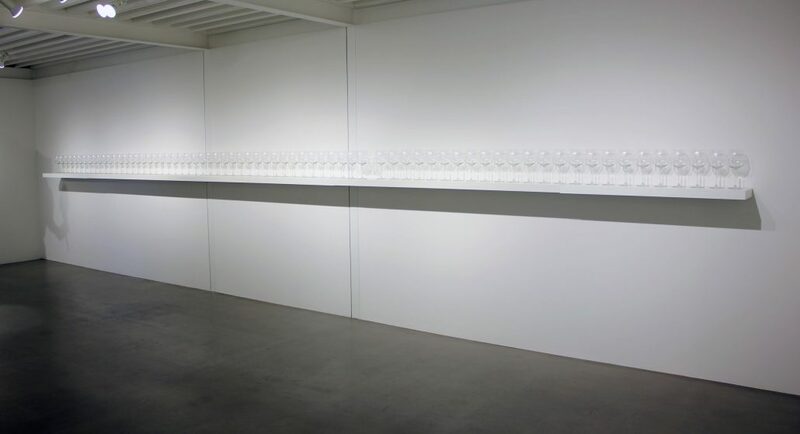 His most recent work, The Glass Kiss, is a set of 70 wine glasses engraved with portraits, names and dates of the 44 American Presidents and 24Cuban Presidents to date, exhibited chronologically on the wall.